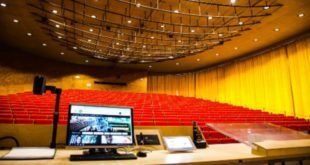 Home / Feature / What is driving the international pro audio education boom? At the AES 145th Convention at New York’s Javits Convention Center recently, I chaired a panel comprised of leading educators from five prominent seats of higher learning: Rob Jaczko, Berklee College of Music – Boston, MA, Paul Lehrman, Tufts University – Medford, MA, Dana Roun, Full Sail University – Orlando, FL, Mary Simoni, Rensselaer Polytechnic Institute (RPI) – Troy, New York, and Cyrille Taillandier, Drexel University – Philadelphia, PA.
You’ll find that beyond their educational chops, each of these panelists is an accomplished music and audio business pro. Collectively, they’ve recorded and mixed numerous gold and platinum hits for superstars ranging from Bruce Springsteen to James Taylor and Don Henley. One has toured the world as a FoH mixer for such legendary artists as Boston and Bon Jovi; another has performed her original award winning compositions in concerts around the globe, another has authored textbooks and magazine articles, consulted with and written documentation for leading manufacturers including Roland, Kurzweil, Yamaha and JBL; and one has served as assistant engineer to Tony Maseratti on multi-platinum albums for P. Diddy, R. Kelly, Jennifer Lopez and Alicia Keys among others. In short, these panelists are industry superstars themselves, educators who can do, have done and then elected to share their hands on experience and unique perspectives with next generation creative and technological pro audio practitioners. And, many of their graduate students now have challenging careers with companies like Akai, Apple, Avid, Bose, Google, IBM, iZotope, Kurzweil, and Microsoft. And, not incidentally, none of these companies will even interview a potential hire without a college degree. Entitled “What’s Driving The International Pro Audio Education Boom,” our panel was designed to explore a phenomenon that has emerged over the past few years as a formidable new trend in contemporary education. As with medicine, law, physics and other demanding fields, colleges and universities have, and continue to make, substantial investments in real estate, faculty, dedicated teaching programmes and state of-the-art facilities focused on preparing next generation pro audio professionals. 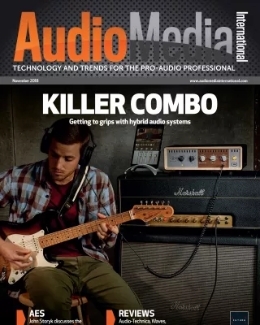 The field of professional audio has proliferated to encompass a wealth of new ancillary career paths far beyond FoH mixing for Justin Timberlake or tracking Taylor Swift’s next smash hit. 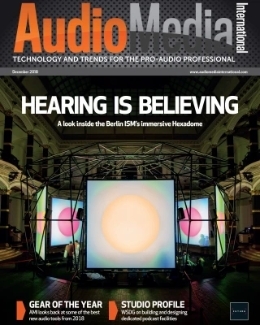 Pro Audio expertise is a critical component of Game Audio Creation, the rapidly emerging Podcast field, Algorithmic Composition, Immersive Music Production, Forensic Audio, Electroacoustics, Virtual Reality (VR), and Acoustic Simulation which engages 3D software programs to aurally “visualise” the sound of a proposed room before it is built, enabling architects to correct potential acoustic problems at the design stage. Universities around the globe are making significant investments in faculty, real estate, and cutting-edge technology in support of large-scale professional audio production/teaching facilities. 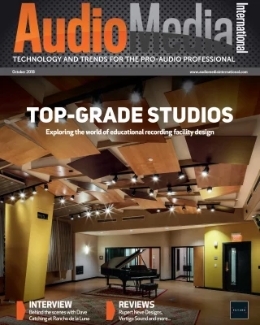 2018 looms as a watershed year for new entries: Drexel University (Philadelphia, PA), Rensselaer Polytechnic Institute (Troy, NY), Concordia College (Irvine, CA), TEC Monterrey (Mexico City), and ICESI U (Cali, Colombia), are just some of the institutions creating ambitious pro audio teaching complexes in 2019. 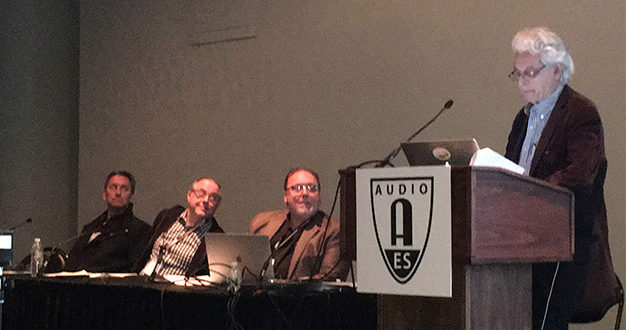 Our panel explored this escalating commitment to pro audio education. Topics included: • What are the issues in designing for technical and creative training? • How do we “future-proof” our new facilities? • Where do today’s (and tomorrow’s) students end up working? • Engineering vs. liberal arts / Dedicated schools vs. traditional colleges: How do we incorporate intensive audio training into a more comprehensive curriculum—or should we? During the course of our 90-minute discussion each participant provided salient and insightful perspectives on the growing importance of formal education for aspirants for pro audio industry occupations. It quickly became clear that while hip-hop, pop, rap, and ‘rock star’ glory fantasies may inspire their forays into music, only a precious few grab those golden rings. 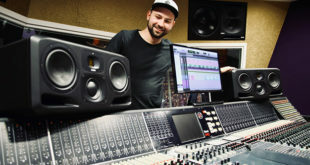 The upside is that the majority of serious pro audio students find a way to monetise their love of music into career-worthy employment, which is one of the benefits of higher education – providing realistic direction for a student’s singular skill set. And, as Rob Jaczko of Drexel University pointed out, those career choices, while not obvious to the incoming freshman, are greatly expanded by their immersion in the University’s wider curriculum. 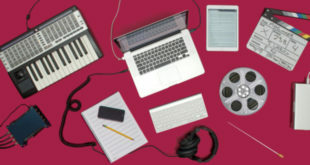 Outfitted with real-world studio environments, designed to duplicate the experience of working in actual recording, mixing, broadcast and writing studios, and taught by instructors who have enjoyed genuine success in the field, students form technical learning teams and learn how to collaborate to resolve complex production challenges. And, they’re constantly exposed to career options that will guide them towards appropriate career decisions. Four of the five schools represented by the panel were leading Universities with “big ticket” tuitions, and demanding admission requirements. Many students attend Full Sail University on the Pell Grant Federal Student Aid programme; director of audio education Dana Roun reports that Full Sail students are committed to sticking with the programme. This point is best illustrated by Dirk Noy, a 1996 Full Sail graduate who won an internship at WSDG, became an invaluable member of the firm, and returned to his Basel, Switzerland home in 1997 to open the WSDG European office. Today Noy is a full partner, and Director of Applied Science & Engineering and partner/owner at WSDG, LLC (USA parent company). Drexel professor, Taillandier, revealed that the university admits only 72 out of 800 applicants, but this stringent acceptance model translates to an extremely light “melt/drop out” rate. Berklee College of Music chairman, Music production and Engineering, Jaczko points out that every Berklee student is already an accomplished musician when they enrol. And, while performing professionally may have been their initial goal, their access to a wide range of music-related potential occupations serves as an inspiration to explore alternate music industry careers which will take advantage of all their skills. Tufts professor Lehrman noted that his University had the second smallest programme on the panel, as most of their students are primarily focused on scientific and electrical engineering careers. 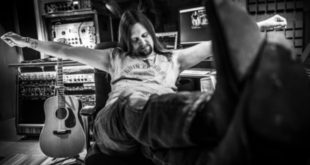 However, their pro audio students have built extremely successful careers throughout the industry, and many count their educational experience as a catalyst for their entrepreneurial success. RPI’s new pro audio education complex opened in September 2018, and while designed to accommodate classes of dozens of students, Dean Simoni and her cadre are ‘breaking in’ the curriculum with a small initial group. They are confident that the new facility will attract the same high-level students as RPI has for almost 200 years. Every panelist commented on the need for campus pro audio education centres to adhere to sound, professional design and construction standards. They need to replicate the professional production environment, assure students of absolute sound isolation between control and live rooms and other teaching areas, and provide clear lines of site to the consoles and all the video monitors to assure the absolute authenticity of every acoustic and aesthetic detail. Concerns I find particularly gratifying as a studio designer and acoustician. During the Q&A session following the panel, the question I had been most anticipating was early on the list. ‘Considering the cost of a college education what was the panel’s opinion of Online Education?’ The answers were understandably mixed. A couple were enthusiastic, a couple were cautiously optimistic and one was emphatically opposed to the idea. Those in favour were of the mind that if the online students were genuinely motivated and capable of sticking with and absorbing the material, that benefited greatly from the ability to work without the distractions of a campus life. My own opinion had just recently changed from sceptical to true believer. I recently became an online author and instructor for Berklee’s new Masters Programme in Audio Production. Having taught in the classroom for many years on the one subject I do know a “little” about (Architectural Acoustic and Studio Design), initially I said no to my involvement both as author and initial first year instructor. Would anyone sign on? Could I provide real world contact in a virtual “online” universe? My concerns were quickly allayed. I now have 41 students in five time zones, a wide range of ages, many with their own studios, and some even in professional groups. They are all grown ups, gainfully and some self employed, motivated, capable of doing the work and – as I’ve seen in just the first few weeks that we’ve been working together – blessed with their own largely realistic game plans for employing the education they’re paying for. All of this has been a very pleasant surprise. Yet, the panelists and I all concur that a hands-on learning experience in a professional educational environment is irreplaceable. Not only for the knowledge that students acquire, but for the opportunity to collaborate with peers in solving problems, figuring out how to take advantage of the technology. The real reason we are seeing an international boom in pro audio education is that young people will always want to be a part of this business. It’s not just because they can’t get a foot in the door without a degree. It’s that the real world educational experience can’t be duplicated online or anywhere other than on a real-world college campus. It’s sad in a way to acknowledge that we’ve outgrown the “internship to partnership” process, but hey, the world is constantly changing and we’ve either got to get with the programme or get out of the way. Both worlds are coexisting simultaneously and I am thoroughly enjoying this new dance. They share the common theme of wanting music and recorded content to sound as good as possible.